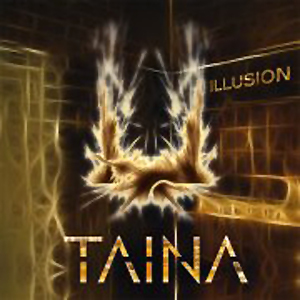 Blurb: Energetic, loud, and fast-paced introduction to TAINA’s brand of industrial metal. Always evolving means of digital distribution and communication allow unknown bands to release their music into the furthest corners of the internet. TAINA’s debut EP can be downloaded entirely free of charge but in no way does that determine its quality. Illusion is brief but packed with energy and worth listening to if only to witness the band’s commitment to their chosen style and audible joy of unleashing it upon the audience. Thankfully, the musical facet of their debut is thoroughly accomplished. Unlike aforementioned industrial metal acts that came to define the scene, TAINA manages a much healthier balance between all out guitar rage and electronic sensibility. 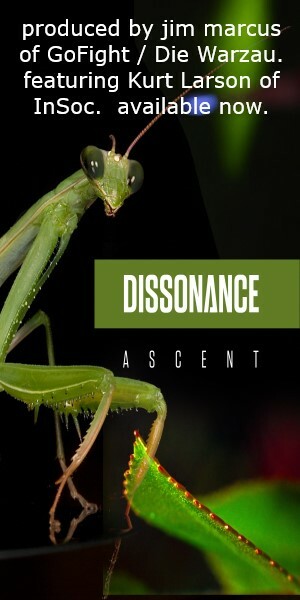 Both aspects are equally well realized and although the arrangements on Illusion generally lean towards the hammy quality of pure metal, they are always accented by either melodic synths or fast paced distorted guitar. Constant subtle shifts in their sound shape up to be the band’s biggest asset and suggest a fair amount of skill invested in both electronic and acoustic layers of the music. While “Like a God,” “Illusion,” and “Pain” serve to escalate the band’s guitar assault, the bonus remix track is a surprisingly danceable and catchy effort. The entire EP is over in a blink of an eye as all five songs sustain an impressive breakneck pace. It will be interesting to observe if TAINA’s full-length release will be able to do the same without falling into inevitable monotony. With enough focus, TAINA has every right to, one day, surprise the industrial scene with a powerhouse of an album.